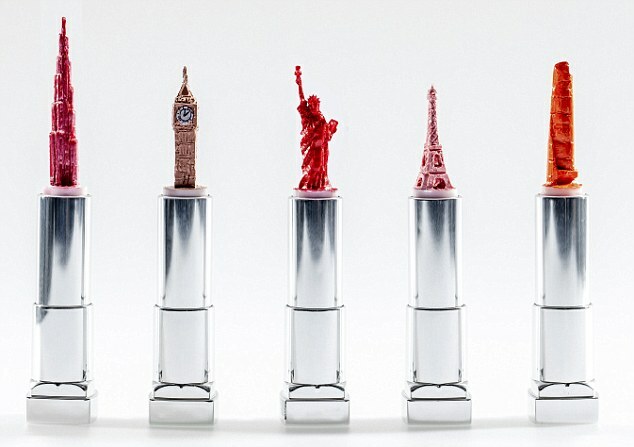 Famous landmarks carved out of lipstick. Created by artist Hedley Wiggan for an exhibit at Terminal 5 of Heathrow Airport. The exhibit is called the International Lipstick Colours of the Year showcase. Lipstick isn’t Wiggan’s normal medium. 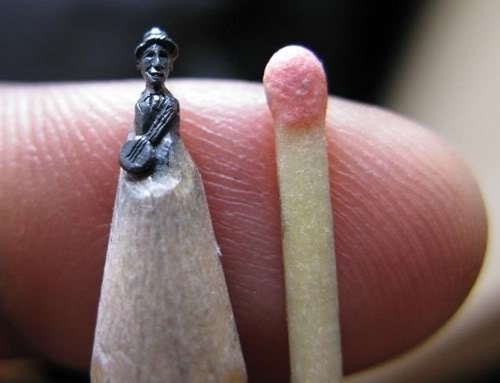 He more often carves miniatures out of pencil leads.